The first thing that comes to the mind is the amount of water that must be used for each wash not to even mention the chemical laden shampoo, soap, cleaners and wax, polishes etc. that must wash off with each car wash. 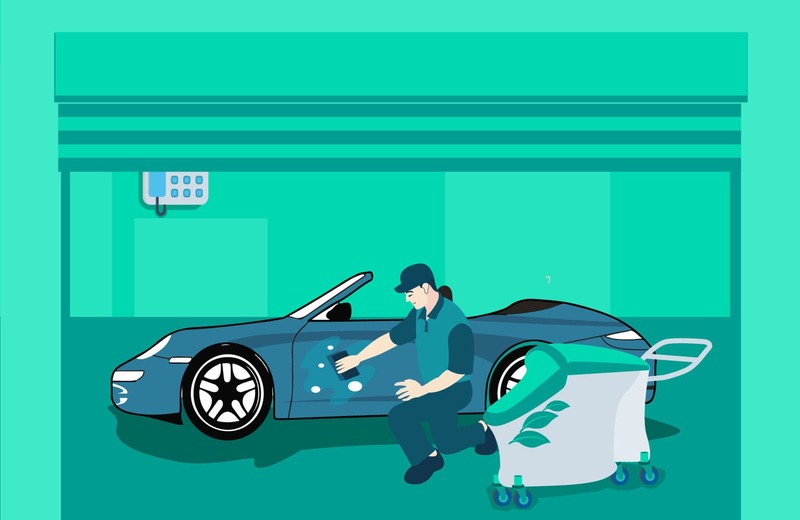 It seems like a virtual environment nightmare, but you will be surprised to know that there are car wash services that are actually green. 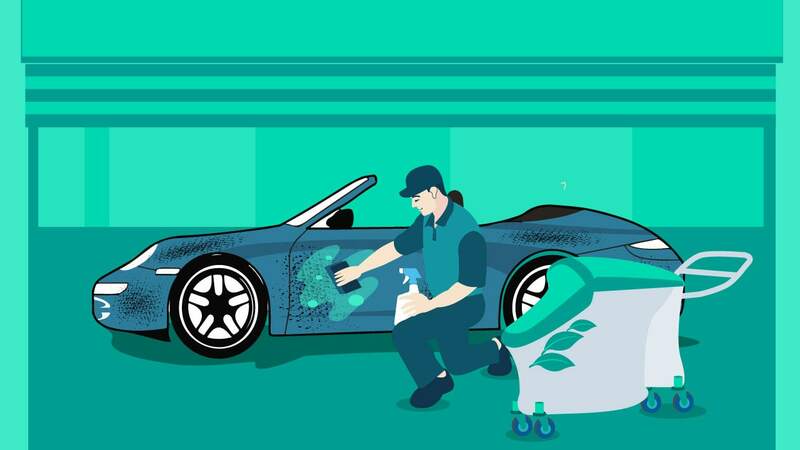 Now if you are wondering whether this post is relevant to you with a green carwash system near you, then here is the good news - Dubai too has its share of green car wash services. These offer car wash at your doorstep as well as the conventional car wash. Some people wonder what is the need for a green car wash anyway, well the fact is that conventional car washing systems use a lot of water. Even you, when you are washing your own car use up a lot of water. In a place like Dubai where water is a precious commodity, using up so much of clean potable water to clean a car seems to be a complete waste. When washing your car most of the water goes down the drain carrying with it toxins and chemicals. 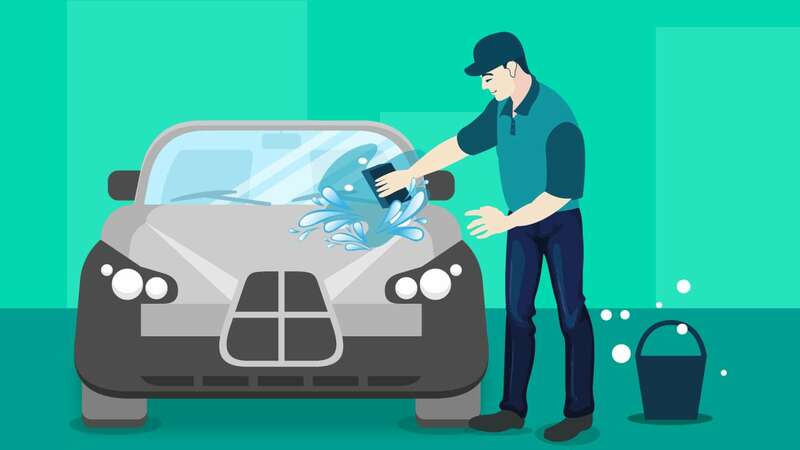 If you are at a car wash service, then this water may be recycled, but most conventional systems do not have water recycling systems, which means that this water goes into the drainage system as it is. Now, that is a lot of soap, polish, wax and other chemicals going down the drain. If you consider a conveyor belt system for car wash it uses about 85 gallons of water at an average per wash. Now that is a lot of water – almost the entire day’s need for a family of five and a bit to spare. The green car wash systems, on the other hand, use substantially less water. With some using about 2 gallons and others less than a liter of water. When looking at just the saving in water, it makes a lot of sense. This problem has two solutions the first is obvious using car wash systems that have low water consumption and recycle as well as re use the water used to wash the cars. There are even car washing systems that profess to be waterless. Some of them use polymers and surfactants along with micro fibre towels to clean and lift the dirt off the car leaving it looking clean and waxed. The other way is to use green products to wash the car and polish it. Let us take a closer look at how these systems work. These systems are becoming popular now as this leaves no pollution, run off water or dirt in the place where the car is washed. A waterless carwash system uses a concoction of chemicals to clean the car. This is a high lubricity product that wash and polish the car. The come in two forms – ready to use spray and concentrates. The ready to use sprays can be used at home. It is easy to use – just spray it on to a section of the car body and then wipe it off with a soft cloth, microfiber towel or glove to get a dirt free and clean look. This system leaves no water on the ground. This system is best for cars that are covered with only light dust and grime. It may not give the desired effect for heavily dust encrusted cars which would benefit from other green car wash systems. Some people have reported that this system may mar the paint work on the cars. But, this is more due to the wrong product or not following the usage instructions properly. Look out for car dry wash products that have silicone as an ingredient – do not use these on your car as it may cause problems later on. Anotehr thing to pay attention to with this system is to use microfiber towels or gloves or use a terry cloth towel that is soft yet thick. Anything else will leave scratches on the paint work. Clean small areas at a time as the spray has to be cleaned off before it dries on the surface. Use light strokes in one direction to wipe it off. Do not use circular motion to wipe. Many say these are not eco-friendly as they use chemicals – but there are some brands that are VOC compliant and considered to be eco-friendly. Moreover, a wash that does not use any water is contributing to the environment in a big way. This system uses steam to clean a car. It can be used to clean the interiors as well as exteriors. 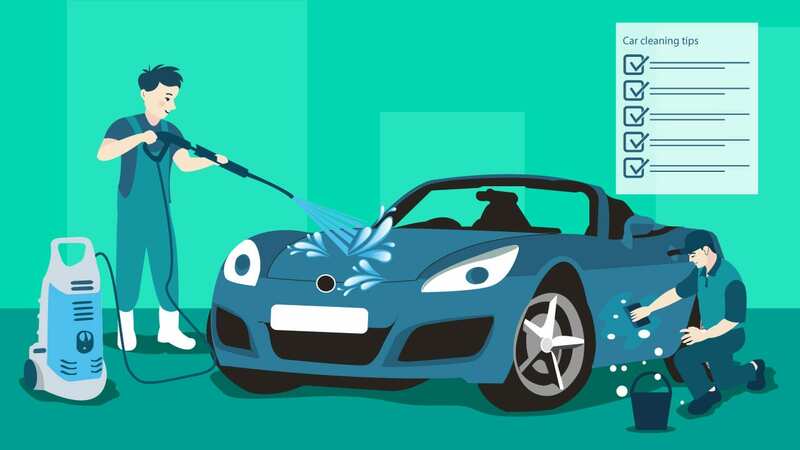 This system uses very little water – some car steam wash systems claim as little as 750 ml of water – to wash and clean the car. The hot steam not only cleans the dirt off the car, it also sanitizes it as it cleans. This is because the steam that is used to clean is hot enough to lift off the dust and kill most pathogens. The steam normally comes out at a pressure high enough to lift off most dirt and grime off the car. What’s more it can reach all the nooks and crannies that cannot be reached with other systems. It gets into the most microscopic of places to dislodge dirt and lift it off. Another advantage of steam cleaning is that it eliminates scrubbing and wiping to a huge degree. It leaves only a thin layer of moisture that can be wiped off with any microfiber cloth or absorbent soft cotton cloth. It uses no chemicals, no soap or additives. It uses only hot temperature and pressure to clean. Requires very little water making it extremely attractive. Also, it leaves no water on the ground making it safe to clean a car even in public and shared spaces. Since it kills pathogens, it is beneficial for those people who suffer from allergies and asthma. Since there is nothing but hot steam it has no fumes or off gas problems. It is also extremely fast – much more time saving that any other system of cleaning a car. This system work for the interiors as well as the engine compartment – so when you get your car steam washed, it comes out clean inside and out. Since steam is used the film of water on your car is as good as distilled water with no minerals dissolved in it, hence it leaves no scaling marks or spots on your vehicle. These low water consumption car wash systems may not be deemed as eco-friendly as the other systems we have discussed above, but they use substantially less water and soap to clean your car. These systems have various systems installed that together make them eco-friendly. These systems include – 1. Low pressure pumps that dispense less water per second than the conventions high pressure pumps. Use bubble soap dispensing systems that use considerably less soap to clean the vehicle. Less soap means less water used to clean it and less soap running off into the water to pollute it. Water Reclamation and Recycling Systems which collect the water used to clean a vehicle and then clean the water to remove all the dirt grime and soap so the water can be recycled to clean other vehicles. This means that the same water is used many times over making these systems very eco-friendly. Most municipal corporations in large cities require these eco-friendly car wash systems to be installed to not just conserve water but also to reduce the pollutants going into the drainage system. Believe it or not there are chemical free and biodegradable alternatives to the conventional chemical laden conventional car cleaning products. These products include coconut soap that is completely biodegradable, plant based bio degradable, phosphate free and non-toxic car shampoo, chemical free plant based interior cleaners and even ecofriendly wheel cleaners, brakedust cleaners to polishes that are completely safe for the environment. There are eco friendly methods to clean the upholstery and carpets too. You can check out the help4u.today blog post on cleaning upholstery to be inspired. To look for a eco-friendly car wash near you, or for a car wash at your door step, do look up help4u.today. You can not only find an eco-friendly car wash in Dubai on help4u.today but can read genuine customer reviews about the services before hiring them. You can look for the best car wash services near you and make an informed choice. Not only car wash, help4u also lists all kinds of domestic services on its site. Log in to the site to solve all your domestic help problems.